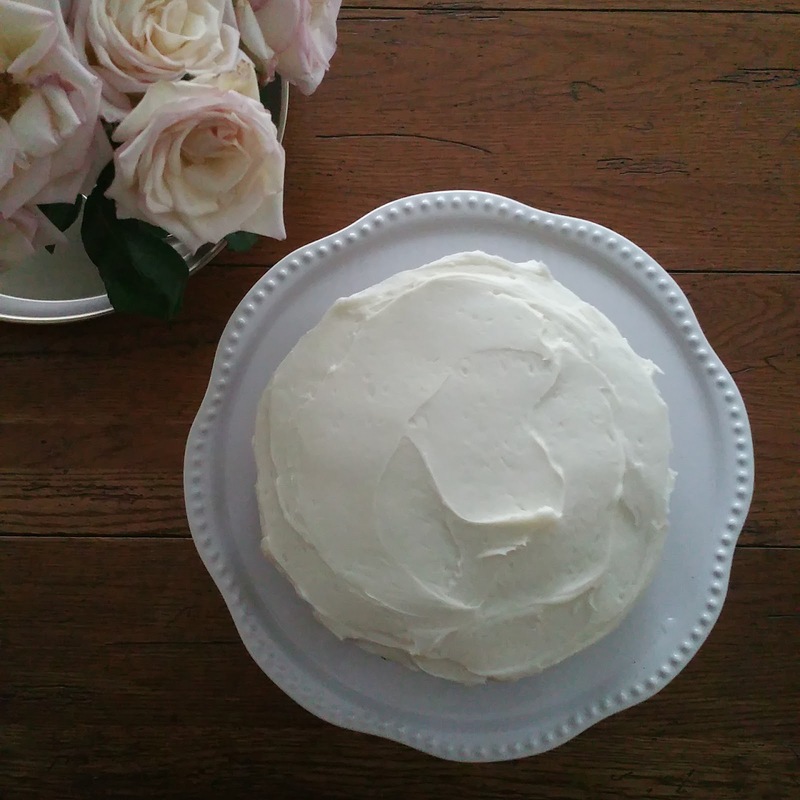 This is one of my favorite cakes to make and always receives rave reviews! Preheat oven to 350 degrees F. Grease and flour two round cake pans or an 8x12 inch pan. In a medium bowl, sift together flour, baking soda, salt and cinnamon. Set aside. In a large bowl, combine eggs, buttermilk, oil, sugar and vanilla. Mix well. Add flour mixture and mix well. In a medium bowl, combine shredded carrots, coconut, and pineapple (I like to use a food processor to shred my carrots and more finely chop up the coconut and pineapple). Using a large wooden spoon or a very heavy whisk, add carrot mixture to batter and fold in well. Pour into prepared pan(s), and bake at 350 for 45 minutes to an1 hour. Check with toothpick. Cool thoroughly before icing.